People often use free blog hosting services provided by such companies as WordPress or Blogger ( now owned by Google) for 1-2 years and then realize that they must change the irritating long Blogger subdomains into a professional looking custom domain. This is especially true if you run a business. So what is the difference between a custom Domain and a Subdomain. When you create a blog (a blog allows feedback) or a website (usually static pages, can sometimes also includes a blog) using such platforms (Hosting companies) as WordPress, Weebly , Wix and Bravesites to name a few, they attach their trademark in the form of a sub domain to your blog/domain name. If your blog/website title is named mywebsite (can be your name etc) then it will appear like this: mywebsite.blogspot.com, mywebsite.wordpress.com or mywebsite.wix.com etc. depending on the hosting platform and these are free to use. The URL is the extended path. A list of examples is below. More information and advice can be obtained from this website. Domain hosting can vary in price and can also depend on your domain name extension. For example mywebsite.com might only cost less than €12 per year, while mywebsite.ie (Ireland’s domain extension) might cost over €20 per year. Check out Register365 for more information on prices and availability. Another Irish hosting provider is letshost.ie, like everything else you purchase- please price around. Also keep an eye on the small print, some hosting company’s include privacy on the domains information, while other companies require extra payment for privacy. Privacy is pretty necessary these days as otherwise anyone can Google your domain name and get all your contact information, including your home address and phone number. Another Irish hosting provide is Blacknight’s services. They also offer a free website link on their home page, but when I clicked on the link I was directed to Error 404, not a good start in my book. Most bloggers or new website owners start their careers by signing up for a free blog hosting content management system like WordPress or Wix etc. But there are disadvantages of using a subdomain. When you start a business or a blog with a free subdomain all the people that know you get familiar with your site through that subdomain. As time goes by and you’re ranking (popularity) increases then you realize that you are not receiving sponsorship or earning using advertising. When you finally decide to purchase a custom domain your followers could get confused and you might lose your ranking. Websites or Blogs with .com domains are naturally more respected than ones with sub domains, such as .wordpress.com etc. Advertising services also do not accept subdomains which mean that you could be losing quite a lot of revenue potential. Most people take .com or .net or .org domains as commercial websites and often subscribe to them and follow them vie Twitter, Facebook or Goggle friend etc. Your domain is enough evidence that you are taking your work serious by spending some money on the service that you use. 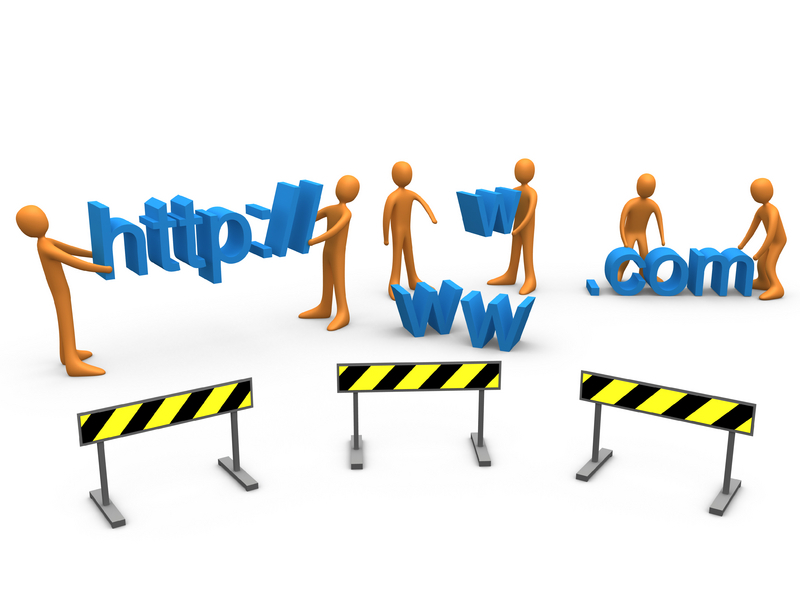 Another disadvantage is that people often do not link subdomains in their websites because often these sites are created on a temporary basic and once deleted the link on their site becomes a dead/broken link which can affect ranking. If you are harbouring more ambitions and want to take your online business to a higher level to make it a good source of income than free hosting is not for you. Student can learn a lot by hosting a free website to understand the basics of how to design, develop and maintain websites on the internet. They can become familiar with website design and development tools, file management and file upload issues. Free websites are useful in sharing web content among groups with similar interests but not able to spend money for one reason or the other. Voluntary organization and non-profit organizations with low capital can use these services to set up a basic website to publish information about news and events or communicate with participants. Good for family websites, sharing photographs and important family events of general importance. But be careful about privacy issues and placing family information on a website that is accessible to everyone especially scam artists. Please make sure that they are made accessible to only authorized users which mean that you have to place an authentication (login) form to your website if possible, ( see WordPress passwords protected posts). hPage.com, also provides password protected webpages, but I found the website difficult to edit. You can get a web space of anywhere between 5MB to 300MB. Some hosting companies proved extra feature like guest books, virtual domain names, drag and drop website builder, counters, tracking logs, blogs and more. Free web hosting is ideal for those who just want to make an online present without incurring a cost. TIP: Very useful to have all your information for any website or page you are creating typed into a word document and saved and just simply copy and paste into the website to replace the default text. This works great on WordPress too. Limited service does not mean poor or unstable. Free hosting is limited that is why is coexists with paid website hosting. There is no problem with a free hosting to be limited once you know the limits and you can decide if this is going to work for you. Check out this YouTube tutorial on how to create a free WordPress website using a subdomain URL . This very good tutorial also shows you how to make a static page as the homepage instead as opening the blog posts first. There are also plenty of websites that will also explain how to get a WordPress website, (you do not have to use the hosting or domain providers they mention you can choose your own). WordPress is also great for catching spam and very easy to manage. Here is a video tutorial on how to launch your WordPress Website using your own domain. WordPress provides many links and websites to help the new web user to create a very professional website, this is a link on how to include a contact form to your WordPress website. It is also easy to get a free Yahoo plugin to view a video on your Website and WordPress website. WordPress is not just a Blog anymore it is now very popular to create standard websites from corporate and governmental websites to magazines and online communities. Here is a link to a webpage that will show you how Enable or Disable comments. Using such themes as Digg3, Twenty ten or Twenty eleven all make great websites and not just blogs. I would far and away use WordPress as a CMS (Content management system) for most any site, especially en lieu of Joomla. All the websites are compatible with using an Ipad or mobile phones. The big bonus is the site owner can make their own changes and additions. This is another great free provider. Here is a sample of a website I did using Wix.com and the information from my business website: www.loretoweir.wix.com/lanpcs only took me 30 minutes and not bad if I do say so myself, even includes a Google map and contact form, no coding required, simply copy and paste. Wix YouTube tutorial videos makes it easy to follow to get your website up and running pretty quickly. Named one of TIME’s 50 Best Websites, Weebly has an easy, drag & drop interface to create your own website. It’s free, powerful, and professional. It’s very quick to set up with loads of templates to choose from. Example: kerryvolunteertutors.weebly.com. When you finally want to change from the free domain, it costs from €30 a year or if you go for a longer ownership, such as five years its reduced to €23 a year or a ten year one from €19.50 a year and your free website is automatically directed to it as soon as it’s purchased. For example this .web YouTube video tutorial shows you how to get a free .webs or a WordPress website up and running. Has an easy-to-use drag and drop website builder! Created this website: www.lanpcs.bravesites.com in less than 30 minutes, of course I already had my information from my business website. Found it very easy to use, and also allowed me to edit using html as well as just typing or pasting in my information. You can choose from hundreds of templates, upload your photos, start a blog, or build a professional website easily. You can add maps, audio players, facebook plugins and much more! Another example such as a provider like 50webs.com offer quality free services so that when a client need more resources they can simply upgrade to a fully featured package instead of going to another company . Some companies that offer free hosting also put a banner on your site that shows various advertising and that is how they profit from your site. But that should not be a problem since most sites on the internet have ads on them and your website is not going to be any different. If it is crucial that you do not want any forced banners on your site then you can go to Freehostia.com . Usually no configuration skills are required and providers often offer free templates or free WordPress themes such as this that will get your website up and running in no time. Provides a free and according to them it is an easy way to create and share webpages, looked confusing to me to be honest. Providing their members free web site hosting with 350 MB disk space, Photo Album service, access to scripting languages like ASP with MS Access database, image hosting, and many great features absolutely free. You now sign in using your Gmail username and password. Very easy to set up and use. Create your own free website with more than 300 MB storage space and over 300 great design templates. Thats all well and good but I found it very difficult to edit and was not pleased with the final result after 30 minutes compare to how easy it was to create a website using .wix.com . Here is a list of other free hosting providers not sure if there are all working but have a look through. I am sure there are others out there. Please feel free to mention others you know or have used successfully in comments… Got this list from another friend, feel free to check it out: top 10 Free Web Hosting sites 2011 . Excellent article, thank you, is very up-to-date information at present! Pretty nice post. I just stumbled upon your blog and wished to mention that I’ve really enjoyed browsing your weblog posts. After all I’ll be subscribing for your feed and I hope you write again very soon! Hi there terrific website! Does running a blog such as this take a great deal of work? Magnificent points altogether, you just won a new reader. What would you suggest about your put up that you just made some days ago? Any positive? I hope you do not mind me commenting right here, I wished to register for your RSS feed (great blog site incidentally) yet couldn’t locate the membership hyperlink – Please help! No membership link, just add my RSS address to your RSS reader. I would recommend Feedly. My RSS address in just under my photo.